How Should You Navigate Tough Political Discussions This Holiday Season? The holidays are a fantastic time to focus on all we have to be grateful for, but sometimes there’s a great big elephant in the room. Becky Kiser, founder of Sacred Holidays and the author of a new book by the same name, compared healthy holiday preparation to the safety regulations flight attendants give passengers before takeoff. Kiser’s point is it’s important to have our own spiritual houses in order, to have our priorities straight and to manage expectations going into the holiday season, when it’s all but guaranteed we’ll run into a few headaches and hiccups along the way. In today’s political climate and divisive culture, it’s easy to talk. In fact, we all pretty much feel entitled to talk, text and tweet our opinions all day long, most of the time without any regard for where it’s going or who might hear it. But the holidays just aren’t a good time for those debates. They are, though, a good time for learning and listening. So how can we prepare ourselves to create conversation instead of chaos this year? Before every major holiday, Kiser said she creates a list of how she can expect each of her family members to behave and prays over each gathering, asking God to give her a “realistic expectation” of how the event will go. And for those wrestling with deep emotional wounds — maybe from a divisive discussion in years past or something even more traumatic — Kiser said it’s important not to “shove it down” and pretend it’s not there. The “Sacred Holidays” author said it’s important to acknowledge those wounds by taking them to the Lord in prayer and then addressing conflict the way the Bible instructs us in Matthew 18:15-20. One of the best ways to avoid conflict and embrace healthy habits during the holidays is to remember why we’re gathered together. 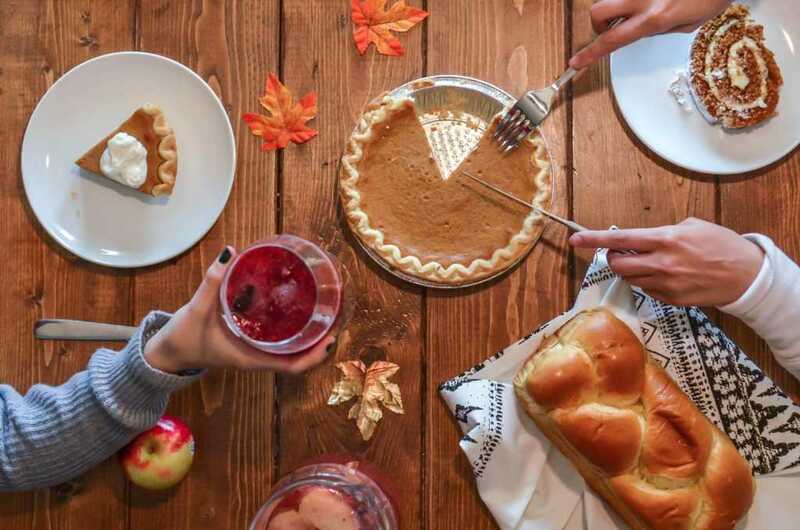 During Thanksgiving, it’s important to keep gratitude at the center of the celebration. Kiser encouraged families to find a time during their Thanksgiving traditions to put the elephant out of the room and take a few minutes to go around the table and share what they’re grateful for this holiday season.